The coolant temperature sensor is responsible for monitoring the temperature of the coolant in your car engine. Monitoring of the engine coolant is necessary as the engine’s fuel requirements are higher when it is cold, and lower when the engine is warm. Upon measuring the coolant temperature, the sensor passes on a signal to the car’s computer. This signal is then used to adjust both the engine timing and fuel injection. This allows for optimal engine performance. If the computer detects that the engine is heating up too much, the performance settings will be adjusted to prevent overheating. The faulty sensor might send a wrong signal to the computer, leading to a miscalculation in the engine timing and fuel calculation. If the computer keeps receiving a cold signal from the faulty sensor, it will interpret this as if the engine is cold and continue to inject more fuel. This action will not only lead to poor fuel economy but more importantly, it can impact engine performance. If your check engine light starts flashing, this could also indicate a faulty coolant temperature sensor. Any time this warning light comes on, our advice to car owners is to have it checked out immediately to avoid potential engine trouble. If you are unable to figure out the trigger for the “check engine light” warning, visit a professional mechanic as soon as possible. 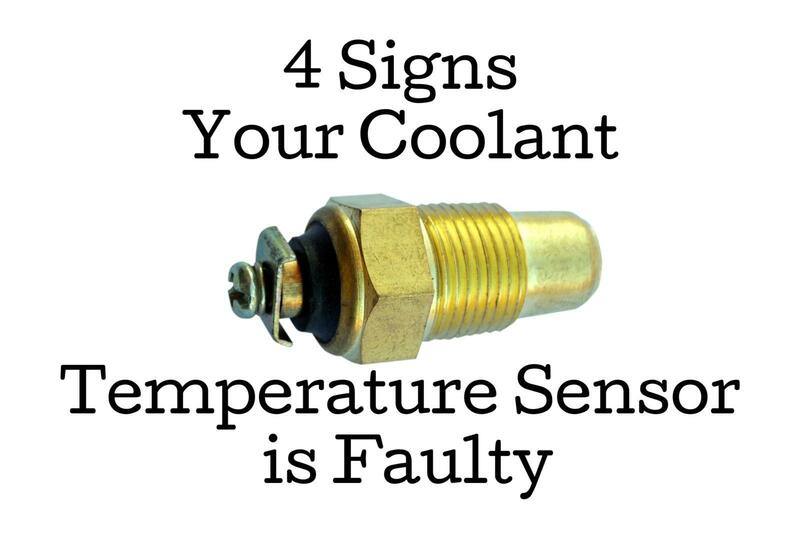 If the coolant temperature sensor malfunctions, it could cause your car engine to get overheated. While sometimes a faulty sensor sends a permanent cold signal to the engine, it can also send a permanent hot signal. The computer will again miscalculate the signal and cause the engine to heat up instead of cooling it down. When this happens, the car might misfire, or it could lead to engine knocking. Faulty readings from the coolant temperature sensor can cause the engine to miscalculate the air-fuel mix in the engine. Any time the air-fuel mix ratio is not in proportion, and if the fuel mixture becomes too rich, the fuel will not be able to burn up inside the combustion chamber. As a result, the fuel will burn up in the car’s exhaust pipes which causes the exhaust to release black smoke. If the amount of black smoke coming from a car is excessive, it is best not to attempt to drive the car. If you notice this with your car, get your car checked out by a pro ASAP. The coolant temperature sensor is a crucial component for ensuring your engine performs at an optimal level. It is based on the signals from the sensor that the car computer calculates engine timing and fuel injection. If the signal is wrong, this important calculation will be misjudged. If you notice any of the above signs, have your car checked immediately to avoid potential engine trouble. If you suspect a coolant temperature sensor issue, visit us at Virginia Auto Service for a fast diagnosis and resolution of the problem. If you need any other car repair service or even if you are looking for routine maintenance, we can help. Give us a call today at 602-266-0200 or schedule a visit with us online at your convenience. The car battery is responsible for generating the initial electrical charge to power up the ignition. However, to keep the car running, a lot of power is required. The battery cannot sustain the required supply of power over extended periods of time. This is where the alternator plays a pivotal role. The job of the alternator is to charge the battery and power the electrical system of the car. It’s not a stretch to think of your car alternator as a generator. Here’s why – an alternator belt is fitted around a pulley which is connected to the alternator. The crankshaft is connected to the other end of the pulley which allows both the crankshaft and alternator to rotate together to generate energy. This energy is essential to running the car’s electrical system. Any time the alternator fails or malfunctions, it can lead to a break down or high cost repairs. You can avoid alternator trouble by watching out for certain signs. All mechanical parts and components experience wear and tear in the normal course of their functioning. The alternator is susceptible to damage as well. The following signs are a good indicator that you could be facing potential alternator failure. Your headlights and/or dashboard lights start to dim. Dimming lights are one of the first indications of a potential alternator issue. 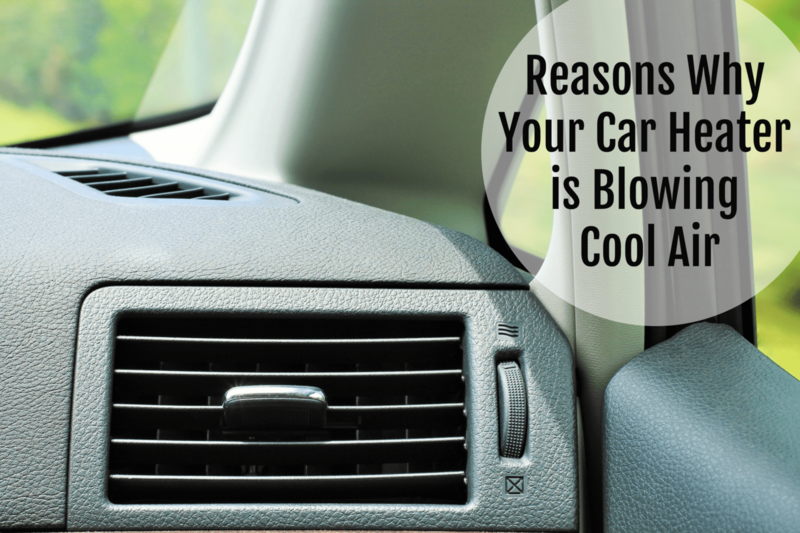 You might also notice that other electric-based operations such as your power windows tend to respond slowly. The dimming or flickering of the lights will happen for a while before the power completely shuts down. 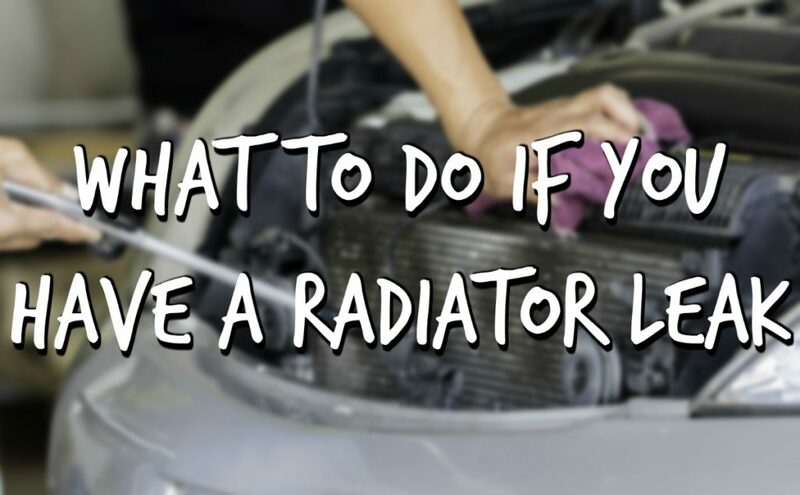 You might notice the warning light on your dashboard go off alerting you of possible alternator failure. The light could either say GEN (generator), be shaped like a battery, or simply show up as ALT (alternator). Using all the electrical components in your car, could also trigger the light to come on; this of course depends on the longevity of the alternator and the amount of electricity being consumed. If you notice the light come on, it is best to shut down any extra power accessories and have the issue checked as soon as possible. Your car battery comes with a shelf-life of 3-5 years. The alternator will of course charge the car battery as long as the car covers a sufficient amount of distance, enough to complete the battery charge. Jumpstart your dead car and remove the jumper cables. If the car dies again, then the issue is with the alternator. If the car continues to run, then it could indicate an issue with the battery. The simple fix to this issue would be to tighten the alternator belt. If the situation does not improve even after the belt has been tightened, it is best to have it checked-up by a professional mechanic. Multiple parts work in conjunction inside the alternator in order to generate electrical energy. 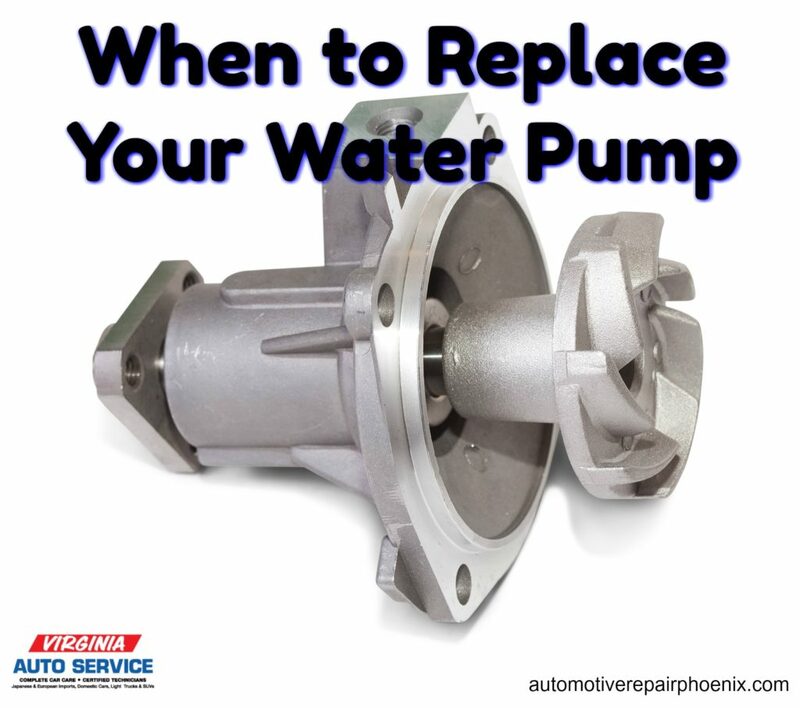 An issue such as regular wear and tear with any of these mechanical parts could generate a grinding or whining noise. When the bearings inside the alternator wear out, you will hear a grinding or whining noise. Again, bad or faulty bushings on which the alternator is mounted will also generate similar noises. If this is the issue you are facing with your car’s alternator, the entire system will have to be replaced as an assembly. 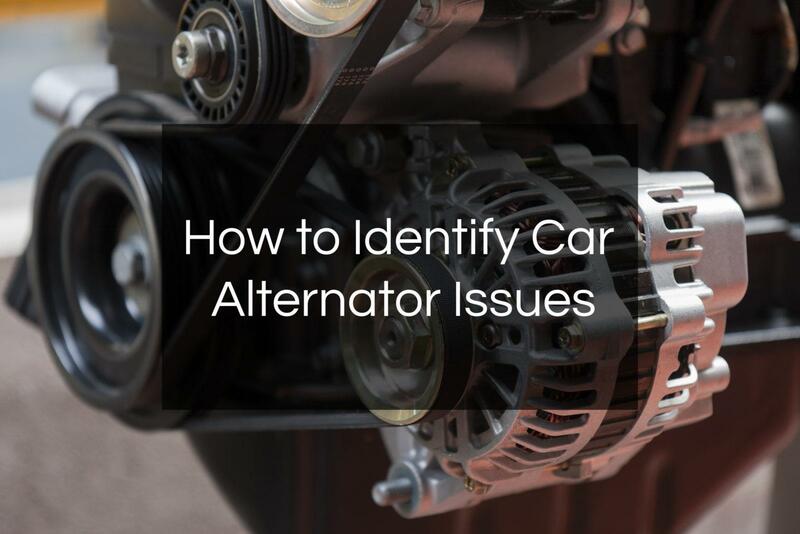 The alternator is crucial to your car’s electrical system. If you notice any of the above-mentioned issues, it is best to have your car checked by a professional car repair service as soon as possible. Faulty or failing alternators might cause harmless slow starting issues at first. If, however, the issue is not fixed, it could leave you with a dead car. Alternator issues can land you in serious trouble. If you have noticed any of the above indications or signs with your car, give Virginia Auto Service a call today at 602-266-0200 or schedule a visit with us online at your convenience. You know that properly maintained tires are vital to the safe operation of your vehicle, but we bet you didn’t know the following 11 tire facts. Early tires were white. Manufacturers added zinc oxide to the rubber for strength which had the side effect of turning them white. In the early 1900s, tire color changed to black. In the early 1900s carbon black was added to the tires to increase tire durability and longevity. White wall tires were first made in 1914. A whitewall tire is created when a carbon black tread is combined with a zinc white sidewall. Original whitewalls were on both sides of the tire. Early cars had open fenders and pedestrians were able to see both sides of the tire when they drove by. 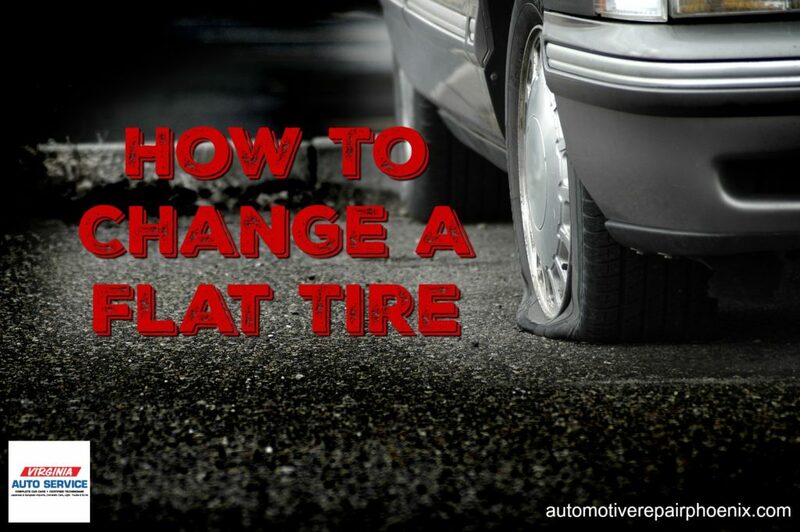 Run-flat tires can drive for a time without air. Run-flat tires will go around another 100 miles after losing tire pressure. They are designed to go around 50 miles when driving at 50mph, but if you drive at slower speeds you can get many more miles out of them. BMW uses the most run-flat tires. Used tires produce a lot of waste. Every year there are more than 250 million used tires discarded. To help combat this problem, there are recycling programs that will melt the tire down to be used in asphalt. The tires may also be shredded and used in garden mulch. Sometimes new tires are made from the old. There are also crafty ways to recycle old tires like making them into planters, dog beds, swings, and other playground equipment. Most new cars don’t come with a spare tire. Many vehicle manufacturers, in an attempt to shed weight, stopped putting spare tires in new cars. Instead, they sell them with a patch kit and a can of compressed air. Michelin is currently working on a new tire known as the “tweel.” It is described as an airless wheel and tire that comes in one piece. They hope to offer the reality of no flat tires and replaceable tread. Lego is the leading tire manufacturer. They produce over 306 million mini tires a year. The modern tire contains over 200 materials. The common materials in a tire include Kevlar, nylon, rubber, and steel, yet there is a lot more that goes into the manufacturing of a tire. They consist of metals like titanium and cobalt to help the compound bond to the steel belts. Silica and saline are also used to help enhance performance. Citrus oil and other “green” materials are also used. You can find the World’s Largest Tire in Michigan. It is 80-feet-tall and weighs 12-ton and was originally used as a Ferris wheel at the 1964-65 New York’s World Fair. It was later moved to Allen Park in 1966. 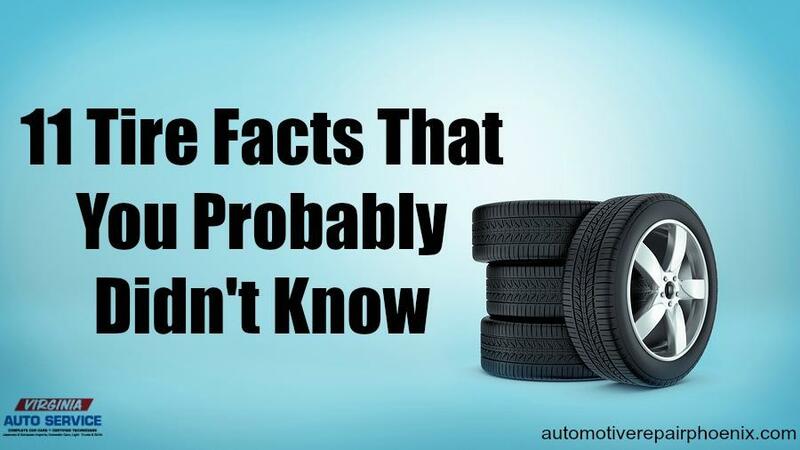 We hope you found these facts about tires interesting! And remember, if you have any concerns with your vehicle you can call the automotive repair experts at Virginia Auto Service. Call 602.266.0200 or schedule an appointment online. 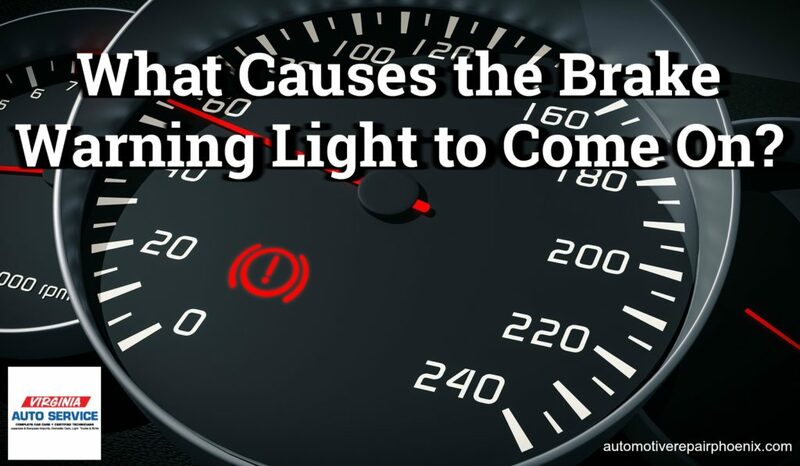 What Causes the Brake Warning Light to Come On? There are many drivers that are in the habit of ignoring their dashboard warning lights when they appear. For the safety and longevity of your vehicle, this is never a good idea. The brakes are your vehicle’s most important safety feature. When the brake warning light appears, you need to have your vehicle inspected as soon as possible. The light often implies that the brakes are becoming worn and will need to be replaced soon. 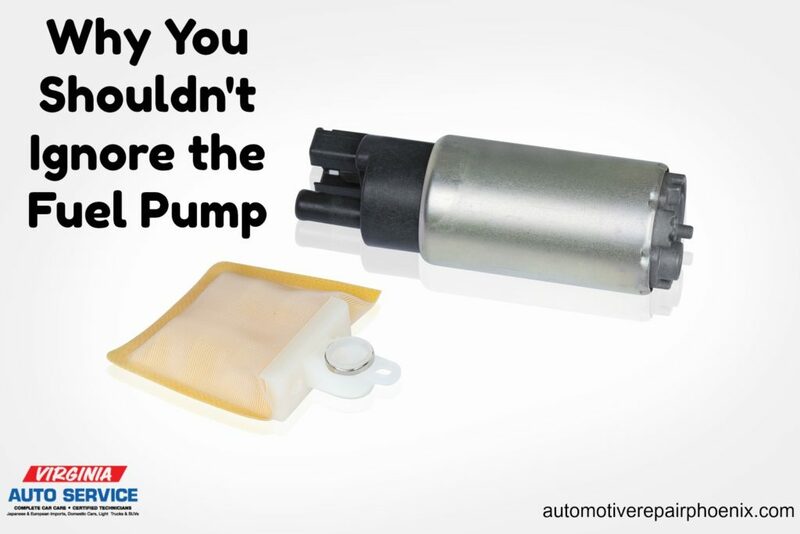 However, in some cases, it is possible that your vehicle’s brake system is leaking brake fluid, which is an urgent problem that needs attention right away. In modern vehicle’s there are usually three different brake warning lights. One light is for the parking brake and it is usually red or yellow in color. Another brake light is for the anti-lock braking system (ABS) and it is usually yellow in color. And, finally, there is one for the actual brakes. This one is red in color and if it comes on it could indicate that there is a serious problem. 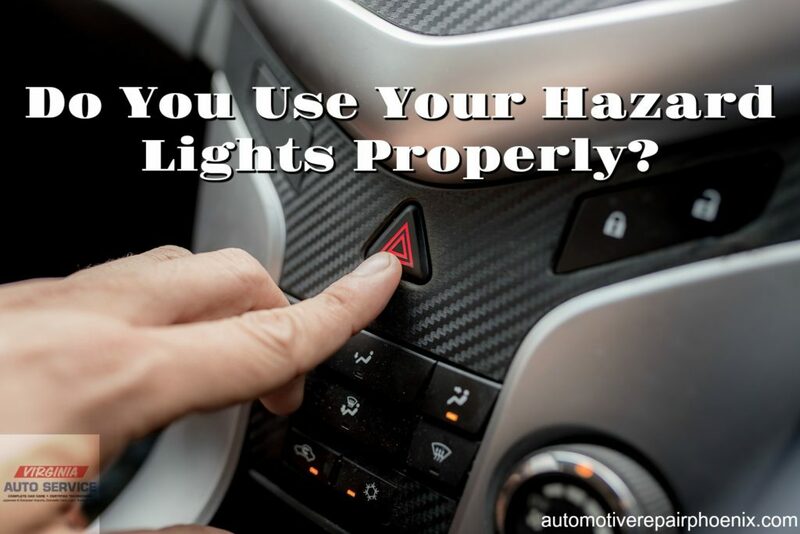 If your vehicle only has one brake light, take time to check the parking brake before you panic and attempt to diagnose other possible problems. Often, the brake warning light is telling you that your vehicle is low on brake fluid, which is a result of worn brake pads. Carl Roberson, owner of the highly rated Carl’s Cool Cars, a service center in Las Vegas, explains the situation well, “As the pad wears, the brake caliper piston extends further to keep the pad in contact with the rotor. The brake fluid fills this extra area inside the caliper as the piston advances, and eventually the level in the master cylinder drops.” For this reason, when the brake fluid is low, most mechanics will not only recommend filling the brake fluid but suggest the brake pads be replaced as well. The brake warning light will sometimes come on because of leaking brakes. Without brake fluid, your brakes will not be capable of stopping the car. For this reason, it is very important to have your vehicle inspected when the light illuminates on your dashboard. You don’t want to be a danger to yourself, your passengers, or other motorists and pedestrians. There is a device inside of your wheel that determines the speed at which your tires are rotating and sends its readings to the ABS control module. This device is known as the speed sensor, and it is a part of the ABS. If it isn’t working properly the ABS light will come on and your vehicle’s anti-lock braking system will not function properly. When the light comes on it could indicate that either the speed sensor needs replaced, or simply that it needs to be cleaned- which our professional mechanics can easily do. The automotive professionals at Virginia Auto Service, are pleased to help you with your auto repair and service needs. If your brake warning light comes on schedule an appointment with us as soon as possible. We are your go-to in Phoenix, AZ for reliable, high-quality auto repair services. Call (602) 266-0200 or schedule an appointment online.